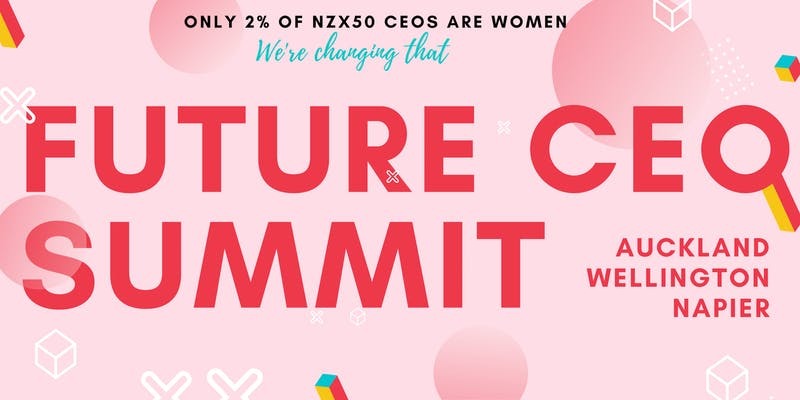 You and your fellow GirlBosses are invited to the 2019 Future CEO Summit - a high octane, jam-packed interactive workshop designed to release your inner CEO. You and 49 other ChangemakeHers will come together to execute your ideas, create change and maximise your impact. Facilitated by GirlBoss Founder, Alexia Hilbertidou. Alexia is just 19-years-old yet her vision to have gender equity in business and the C-suite has led her to a level of influence well beyond her years. Alexia’s passion for entrepreneurship led her to create GirlBoss New Zealand. In just 3 years, GirlBoss has gained 10,500 members across the country. Just returned from a space mission with NASA, Alexia’s own mission is to get young women to the table - the boardroom table that is, and she believes the decisions made while young are crucial in paving the way. Alexia’s passion for future-focused education is why she was named the most influential woman under the age of 25 at the 2016 Westpac Women of Influence Awards, a Top 30 Global Teen Leader, and a Top 5 Young Leader by the Ministry of Youth Development. In 2018, Alexia was selected from over 20,000 nominations to receive a Queen's Young Leader award from Her Majesty The Queen, for services to the Commonwealth. She is the youngest Commonwealth citizen to hold this honour. Accessibility: We aim to make this event accessible and open to all. Tickets have been heavily subsidised by our sponsor, Xero, and so now are only $15. If you are unable to purchase a ticket then please do not hesitate to email us as we have scholarship tickets available. There is a wheelchair ramp at the venue and gender diverse people are encouraged to attend. Location This event is in Auckland, we also have events in Napier and Wellington.